Sol Solution has developed the Pandoscope®: a unique characterisation system based on a mechanical Panda® test that is followed by a geo-endoscopy test. Thanks to the development of its dedicated software, PandaVision®, Sol Solution is able to give on-site data on the characteristics found. Sol Solution has for many years specialised in road layer characterisation. The maintenance challenges of such roads involve the availability of reliable research centre data on the thickness and condition of the various layers present. 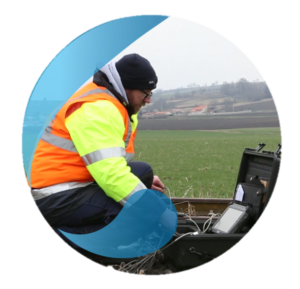 Sol Solution relies on the use of two geophysical and geotechnical methods. The non-destructive geophysical tests make continuous auscultation of the various works being examined possible. For superficial structures, ground-penetrating radar (GPR) is still the method most used. This system registers up to 20 measures per metre at 80 km/hour on four concurrent antennae. 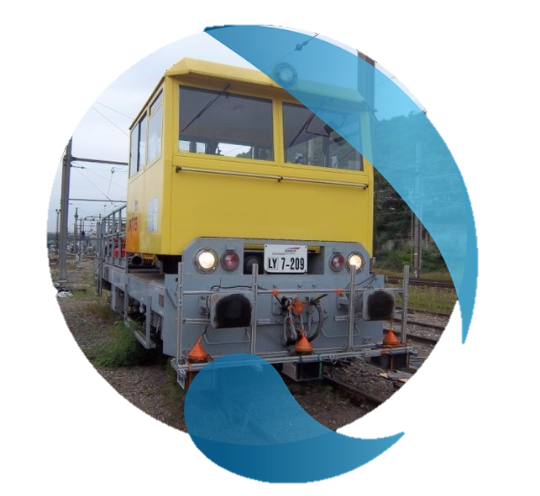 It allows for quick and continuous data collection across the length of the track or works without hindering operations. These geophysical data are collected and confirmed using geotechnical surveys in which the Pandoscope® in particular makes it possible to gather diagnostics on specific points, characteristics, mechanical resistance of layers, granulometry, humidity and resistance to penetration. The final analysis brings together the continuous data from the ground-penetrating radar alongside ad hoc survey data. The use of integrated software means the infrastructure manager is able to simultaneously watch data on a video of the track, an IGN or geological card, while all other data is presented in map or table form. SOL SOLUTION has participated in the development of a tunnel masonry diagnostics system (MEDITOSS). This diagnostic system takes note of continuous ground-penetrating radar images, maps of mechanical parameters obtained by mechanic impedance, and low-destructive endoscopic and dynamic penetrometer tests using the Pandoscope®. This method makes it possible to characterise a brickwork structure based on the mechanical functioning through the structure’s entire depth. SOL SOLUTION has a range of measurement tools that are available to structural engineers and project management assistants’ offices dealing with the issue of brickwork structure examination and used for detecting a structure’s reinforced concrete fittings, recognising any potential fitting erosion, researching water leaks and performing foundation auscultations, whether deep or superficial.